March is once again upon us. If you're in the northeast - or hell, most of the rest of the country - you're awaiting the coming of spring and some respite from what's been quite a winter. But for college hoops fans, it means the coming of another season - the postseason. Regular seasons are wrapping up, conference tournaments are on deck, and one thing is clear: It's time for March Madness. For me, conference tournament season began in the Northeast Conference, during my undergraduate days at UMBC. As a resident of Tournament Town, we're typically talking ACC - both men's and women's - here. I've made the trip up the mountain to the SoCon tournament in Asheville, and at least been in the neighborhood of CIAA and MEAC festivities. Greensboro's also no stranger to actual NCAA action, having served as a first and second round site for the men and this year hosting a regional for the women. For years ago, relatively deep in to the 2011 tournament, I started using the not particularly clever but concise hashtag #marchbandness. I realized quickly that there's also a radio station that uses that tag for a bracket style band showdown they run. So for the last couple of years, I've pondered switching to something that's not in use. Trouble is, I've got nothing. 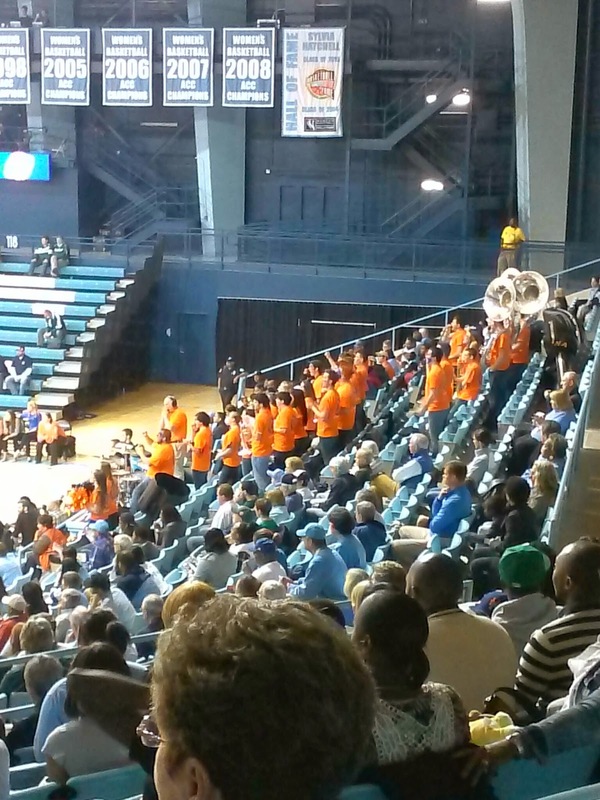 Nothing else so succinctly and perfectly relates to the pep bands of the postseason. So I'm done hemming and hawing. #marchbandness is here to stay. So while you're taking in your conference tournaments or NCAA action live in the arena or at home on TV, drop a #marchbandness to let them know you're paying attention!